February 12, 2018 -Palmer- On Sunday, February 11, 2018, officers from the Palmer Police Department responded to 1180 Calkins Road, Palmer, for a reported home invasion. Shortly after their arrival officers notified the Massachusetts State Police Detective Unit assigned to the Hampden District Attorney’s Office about the potential of a fatality associated with this incident. The Palmer Police Department received a call stating that a man had been shot at 1180 Calkins Road, following what is believed to be a home invasion. 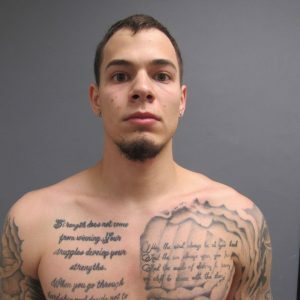 The resident of 1180 Calkins Road, Dimitri Bryant, 21, of Palmer, had been involved in an incident where the deceased entered the home with what appears to be the intent to commit an armed robbery. The alleged assailant was found suffering from an apparent gunshot wound and was transported from the scene by Palmer EMS to Baystate Wing Hospital in Palmer where he was pronounced deceased. The scene, which was secured by officers from the Palmer Police Department, contained a firearm and the overwhelming scent of marijuana. A search warrant was obtained for the residence and the subsequent search yielded approximately: $32,875.00, 20 pounds of marijuana, THC products, and packaging supplies. Dimitri Bryant was arrested by the Palmer Police Department and charged with Possession with Intent to Distribute Marijuana. 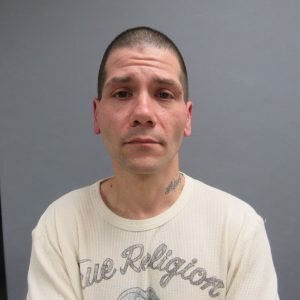 He was arraigned today in Palmer District Court where $10,000 cash bail was set with the following conditions: defendant must turn in passport, ordered to remain in the State of Massachusetts, report to probation weekly, and remain drug and alcohol free. ADA Sean Curran represented the Commonwealth at the arraignment. A possible accomplice to the deceased, Samuel Comstock, 39, of Palmer, was located and taken into custody by investigators for unrelated warrants and was found with an illegal shotgun in his bedroom. This is an open and ongoing investigation. Additional charges brought by the Massachusetts State Police assigned to District Attorney Gulluni are possible.